Though I can be fickle, I believe these eye-centric sandals may have won my heart for the summer. I think I’ve said this before, but since I often end up wearing my flats (quite literally) to death, I try to find the most interesting ones possible in the hopes that I won’t get bored of them before their inevitable demise. So yeah, everything about this I could just scoop up and wear EVERY SINGLE DAY. Love this look girl- totally nailed it! Eye love those flats! Ha! 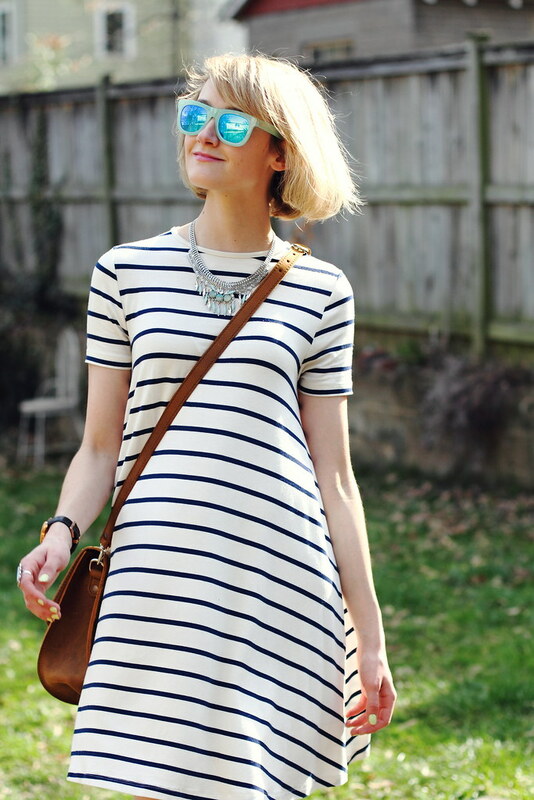 This striped dress is so cute too! Aaw the sandals are so cool! EYE catchers 😉 Perfect with the simple striped dress, such a good summer look! Those are most certainly a unique sandal! I'm sure they will delight you all summer, and who knows, maybe next summer too. Such a cute outfit. LOVE the sandals – so unique! THe sandals are amazing! Also love the dress!